This is a paid partnership in collaboration with NABO. This time of year, whilst I’m nowhere near ready to mention the Christmas, I do like to acknowledge winter and bring some seasonal touches into our home. It’s all about wanting to feel warm, cosy and cocooned this time of year. Candles aside, what other things can you do to celebrate winter in your home? 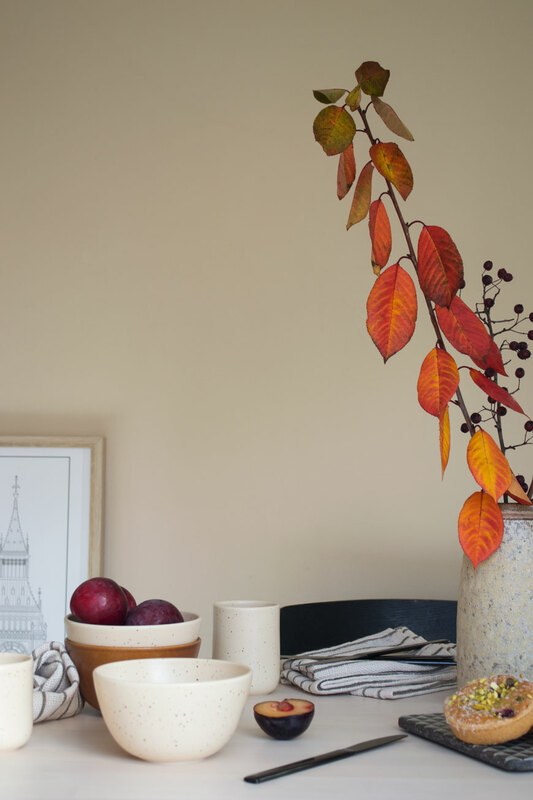 I’ve teamed up with Danish lifestyle shop Nabo to share some inspiration. 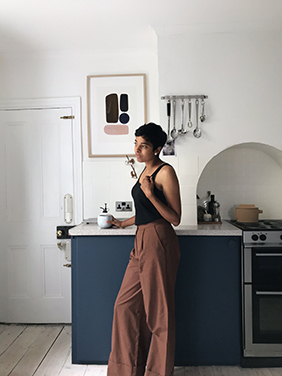 Danish for ‘neighbour’, NABO was launched by visual artist Christina Thaisen in 2017 from her home, a former jam factory, in London. 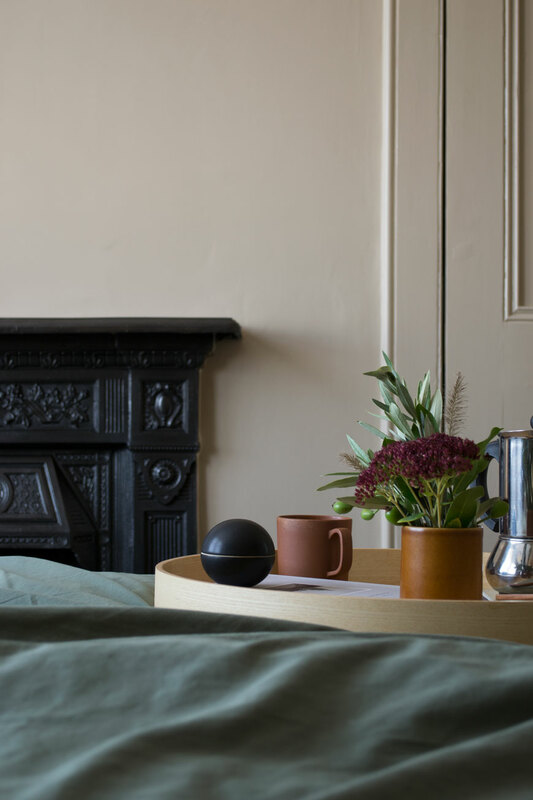 Hailing from the city of Copenhagen with design in her blood, Christina has created an online shop for beautifully crafted Danish homeware with a personal story. We don’t follow fashion or the latest trends but source products that are timeless, functional and long-lasting. ‘Things’ cannot create a home. It’s the connection you have to what you surround yourself with that creates a feeling of belonging, of home. 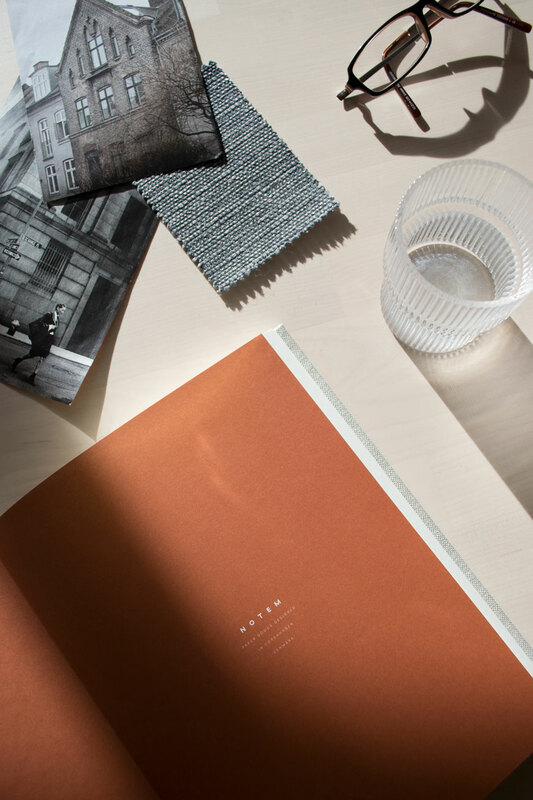 Therefore, we think it’s important to tell the story behind the products and brands we stock for you to make that connection and to help create homes that are more meaningful. Showcasing new designers and functional pieces meant for daily use, Christina often makes journeys back to Copenhagen to add to her carefully curated collection. 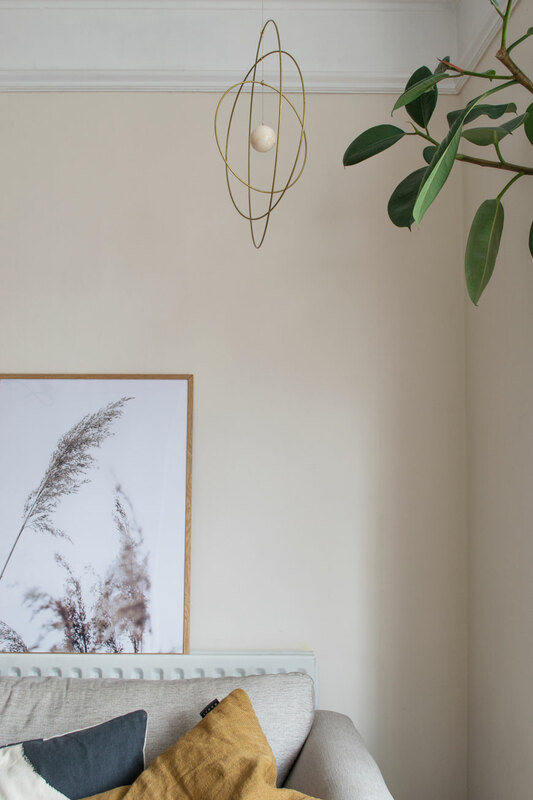 I’ve found it almost impossible to choose favourites but I’ve highlighted some of the most beautiful examples used in my own home. 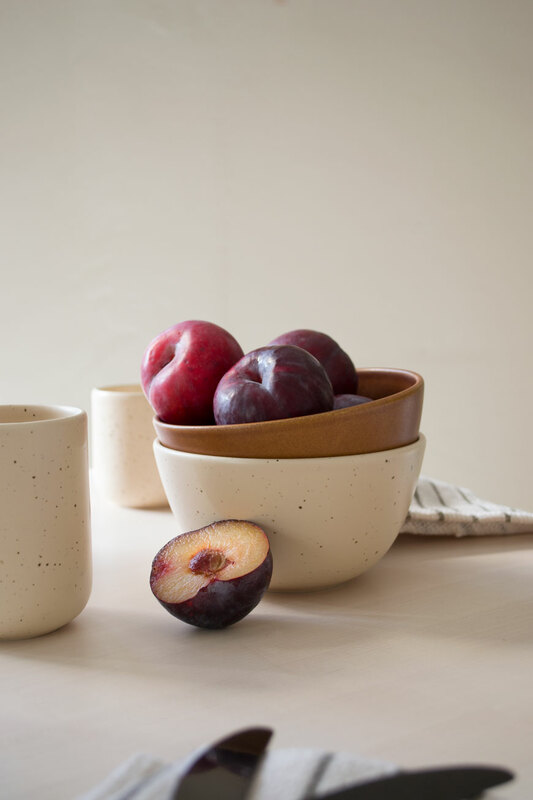 Rustic winter styling – Mette Duedahl’s warm, organic toned ceramics are perfect for family gatherings. We always make an effort for slow family breakfasts at the weekend which are usually a mix of pastries, cereal and fruit (the kids love a variety to pick at). The tableware obsessive in me was instantly drawn to ceramist Mette Duedahl’s collection of ceramics. The oatmeal and earth tones instantly warm up the table for breakfast alongside my slubby Khadi napkins. Simple touches can make such a difference. I brought home some fiery branches foraged from a morning walk to bring a sense of occasion to the table. The rusty toned leaves and deep red berries really draw out the organic fleckles in the large Tina Marie vase. 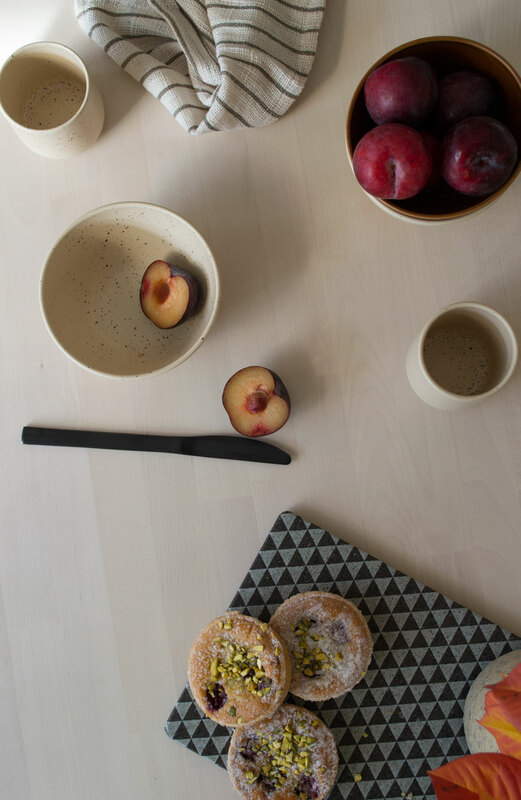 Lavastone board designed by FIle Under Pop makes a versatile plate to serve pastries or cheese. 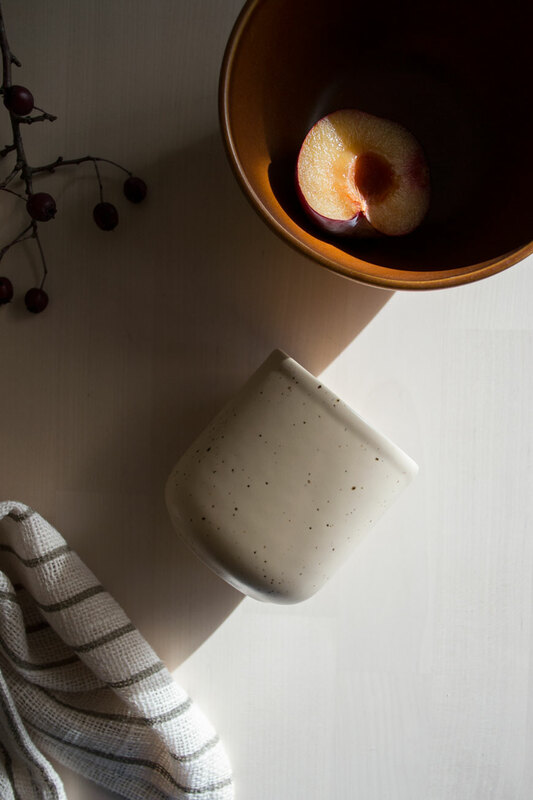 Soft winter light lands on the table, picked up by Mette Duedahl’s ceramics. If you switch your duvet for a heavier tog come winter, you might like to dry a darker shade of bedding too. 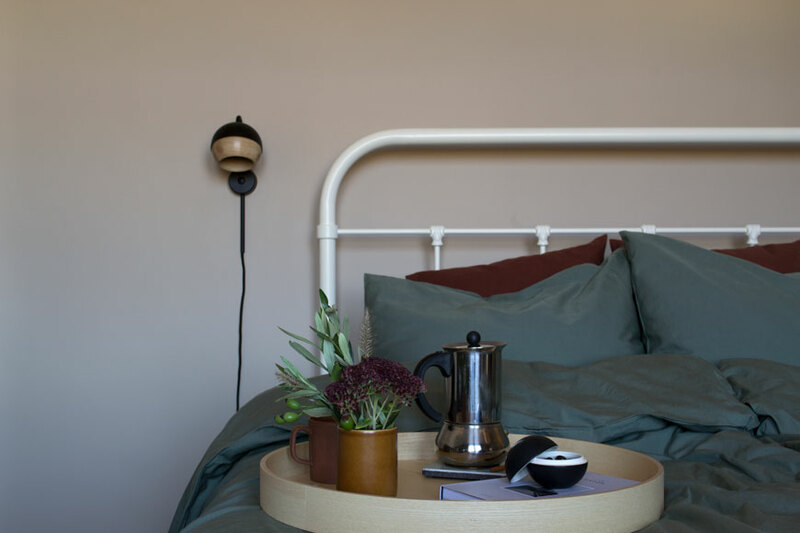 Nothing beats freshly laundered sheets for ramping up the cosy factor and the olive green cotton Tekla bedding has added depth of colour in our bedroom. I love how it looks against the beige walls. We’ve even tried sleeping the Scandinavian way with a set each so we don’t have to play tug of war with the covers! A rare moment – breakfast in bed under olive green sheets and a posy picked from the garden. 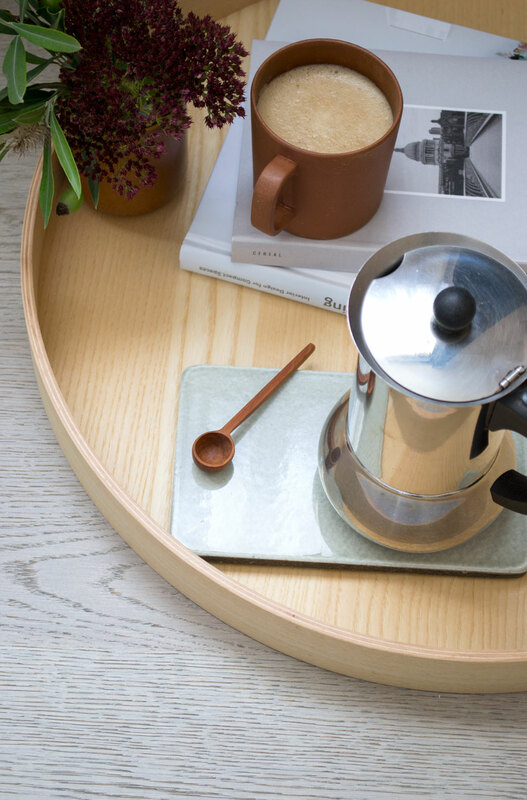 Using the lavastone board by File Under Pop for hot coffee to enjoy with a good read. A stand-out piece from NABO’s collection is the striking black bonbonnière pot by Uh La La. A sculptural piece in its own right, it’s perfect for stashing nibbles or small pieces of jewellery. This is a piece that would look great styled on a mantlepiece or living room shelves alongside other select treasures. A stand-out piece. 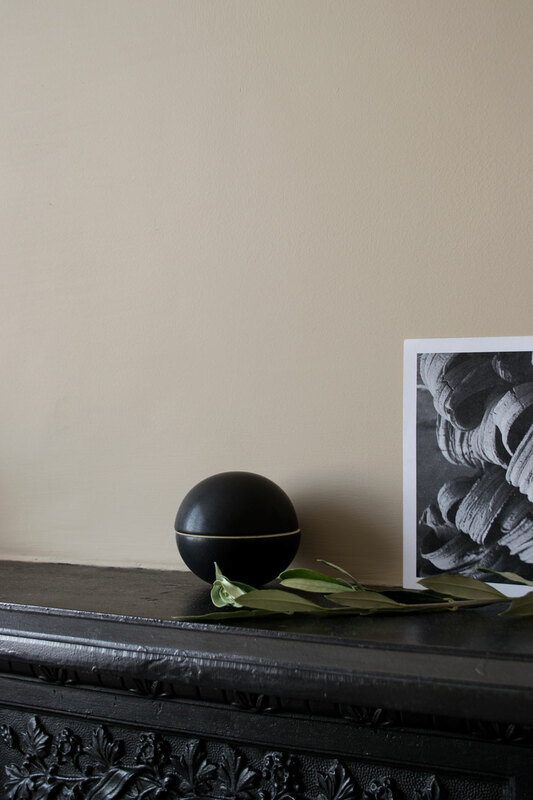 Ceramist Julie Bonde’s matt black bonbonnière looks at home on our bedroom mantlepiece. We’ve not done a great deal to the living room since moving in, there’s seems little point until we begin work next year. It can feel a little cold with its north-facing light but our rubber tree Marvin definitely helps to soften the edges. I’ve added some spice toned cushions to help warm it up and there are brass candle holders by the fireplace. One thing I’ve really taken to this year is mobiles for grown-up spaces. I’m seeing them everywhere. Hung above a sideboard or in our case, just behind the sofa, they add visual interest as a piece of sculptural art. When we have candles lit in the evening, the light flickers off the warm brass rings of the Galaxy Globe which are centred by the white marble ball. 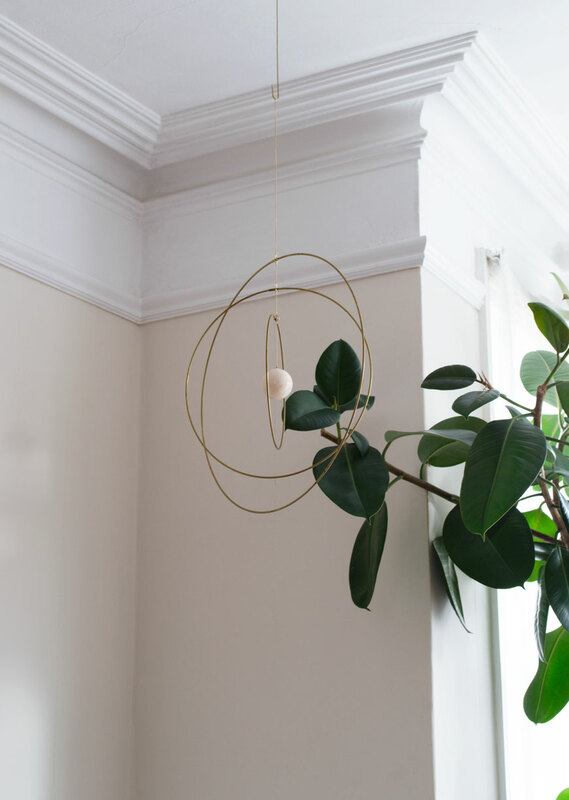 Brass and marble Galaxy Globe mobile, designed by Kaja Skytte draws the eye up to the original coving. A very different focal point – the Galaxy Globe mobile is a mesmerising watch in candlelight. My office has had a serious winter sort-out following a busy few months. With tote bags and mounds of press material, decluttering my desk has worked wonders for keeping a clear head – do you find the same? Kicking off the New Year with a fresh diary or journal makes all the difference to your organisational skills too. I don’t like using an online diary, although I share one with Rob, I find things go in better if I’ve written them down. 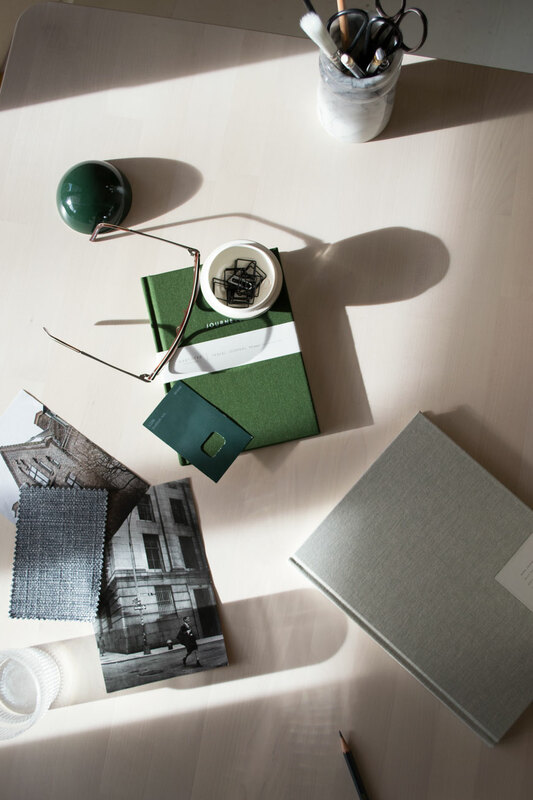 If you’re into your stationery like me, you’ll appreciate the quality of NOTEM Studio’s journals. A solid and reliable piece of paper kit, they’re made from Scandinavian paper and covered in woven cloth, of course. Stark shadows of winter and spanking new stationery by Kartotek and NOTEM Studio. Designed the Danish way, inside and out. 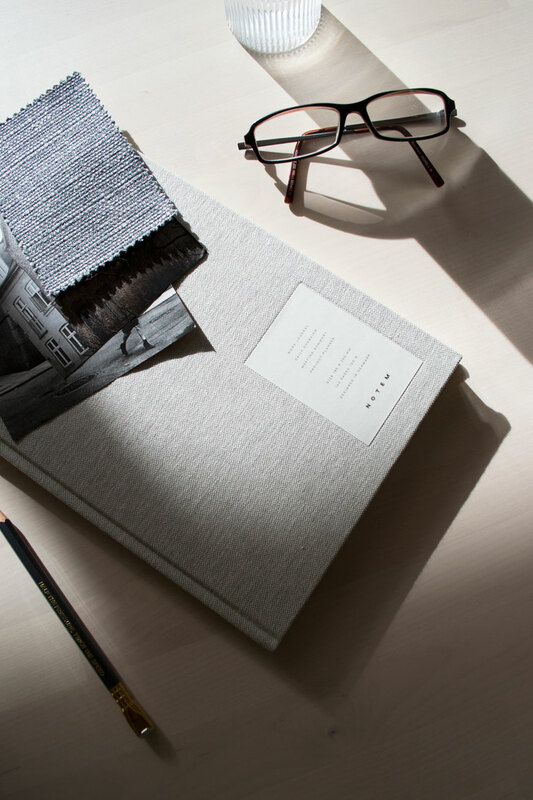 Stylish cloth covered journal from NOTEM. Love what you see? You can enjoy a 20% discount with NABO across the entire collection using CURATEDISPLAY20 when you check out. Valid until 20th December 2018. Lovely pieces! The Galaxy Globe is so beautiful and unique and it’s the first thing that caught my eye. You’ve chosen some fantastic stuff for your winter home. Everything looks so warm and cozy, which is pretty much all we want in the winter months. Great selection!